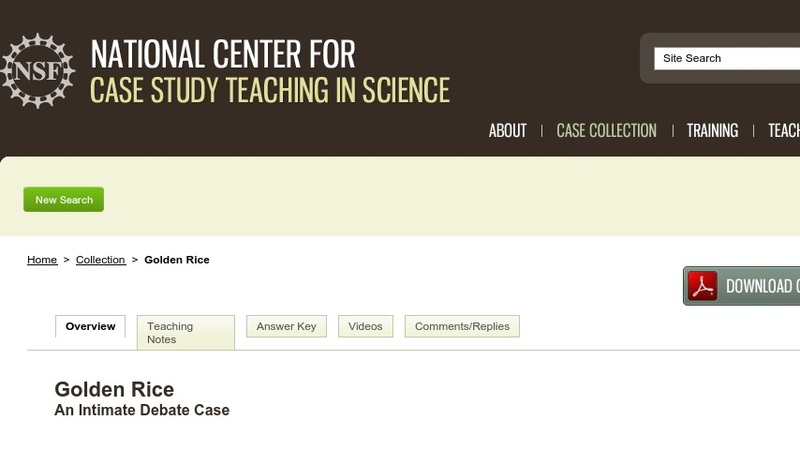 In this intimate debate case, students consider whether to support the development and use of Golden Rice as a means to alleviate vitamin A deficiency in the developing world. Students are exposed to arguments supporting and opposing the use of this genetically modified crop for humanitarian purposes. Since many of the arguments typically raised against genetically modified organisms (GMOs) do not apply to this particular GM crop, students are forced to analyze the facts rather than rely on what they have heard in the media. Developed for an introductory molecular biology undergraduate course, the case could also be used at more senior levels.